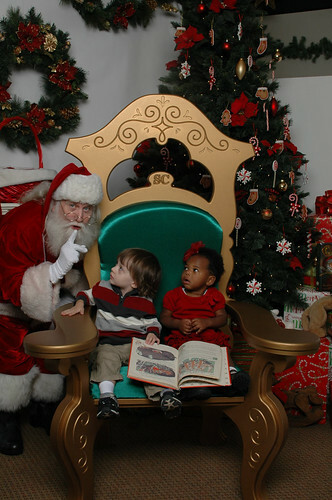 We took the babies to see Santa this weekend. Henry did so great! 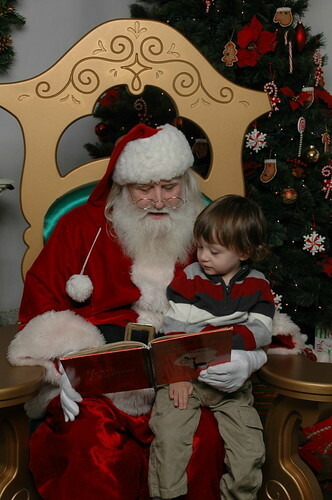 I mean, how can you go wrong when Santa takes the time to read to you about Rudolf? Or shows you how to make Reindeer antlers? And even lets you hang out in his seat all alone for a bit? Unfortunately Cici was not fooled at all by these tricks. She still was TERRIFIED of the strange man in red. 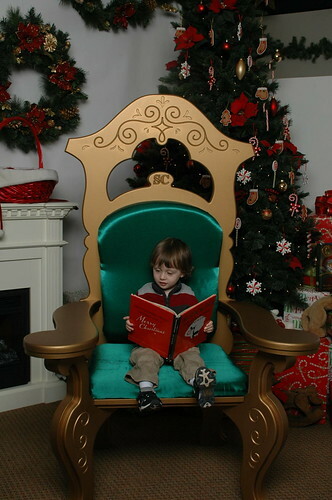 Luckily Santa let her hang out with Henry instead and just peeked into her Christmas picture. Okay, I want to know where you saw Santa??! Pics are super cute, especially the one with Cici! Henry was SO brave! I love Cici's expression on the last one. They are adorable! Wow! What a great Santa! 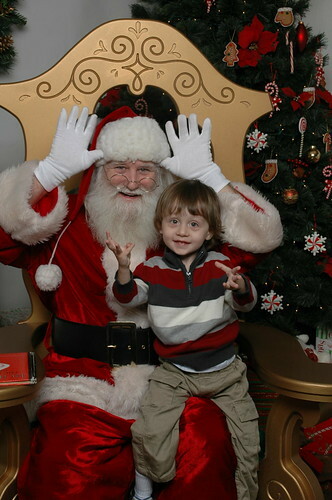 I've taken N to see Santa several times, but none of them were that playful and friendly. Henry looks so happy! I love it!